From experience, I can highly recommend Reiki to people suffering from back pain and wishing to try different treatments and therapies that can work along side, as well as instead of traditional Western Medicine. Reiki can also help to reduce reliance on painkillers. Reiki has a long history of being used as a complimentary treatment for many different types of back pain, including the lower back, upper back, sciatic pain and stiff neck. Reiki is a wonderfully non-intrusive treatment that many of my clients have come to benefit from. I have been treating clients’ back pain from my London Treatment Room for over 15 years. There can be many causes to back pain, often injury can be as a result of your normal day-to-day routines. Stress and anxiety can also cause a tightening of the muscles, so treating this tension with Reiki can help provide long lasting pain relief, I’ve certainly been told this by my clients. 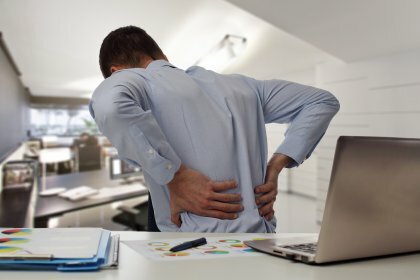 Treating back pain with a Reiki session will help to generate a feeling of deep relaxation, removing any energy blockages that may have formed. I am pleased to say that my Reiki treatments have been highly beneficial to many of my clients living in London. If you feel you want to try something a little different, then please book a Reiki session with me. Simply get in contact with me and visit my London clinic in Fulham SW6, and I will be delighted to help you.